Saturday: I brought my own bag to Brossard Bagel where I bought two dozen bagels. I filled up my containers at Épicerie LOCO with cream, oil, flours, sugar, eggs and cheese and traded in my empty yogurt jar for a full one. 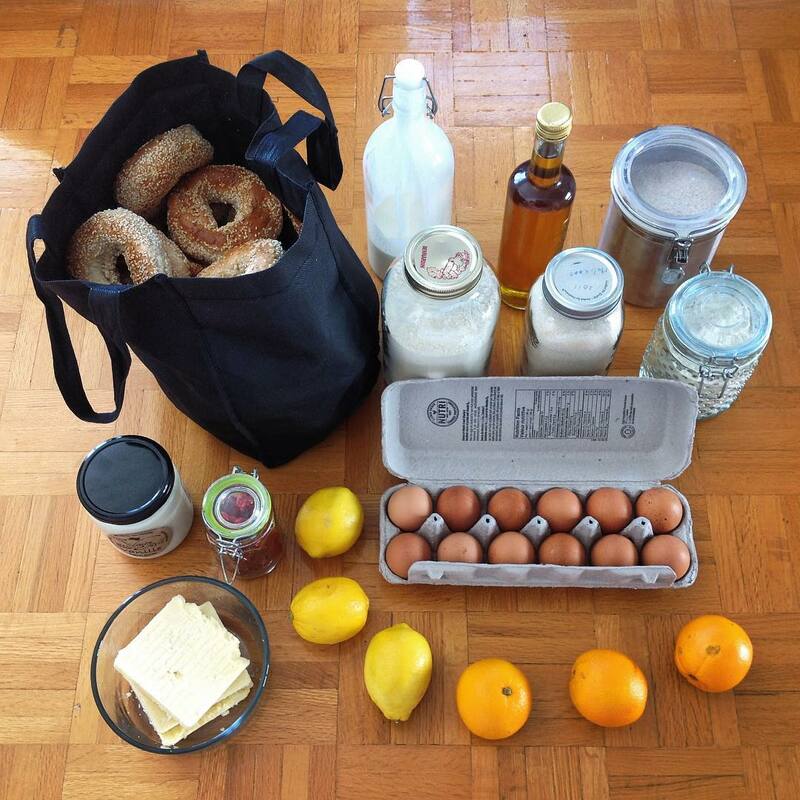 Sunday: Proof that you CAN shop zero waste at regular grocery stores. 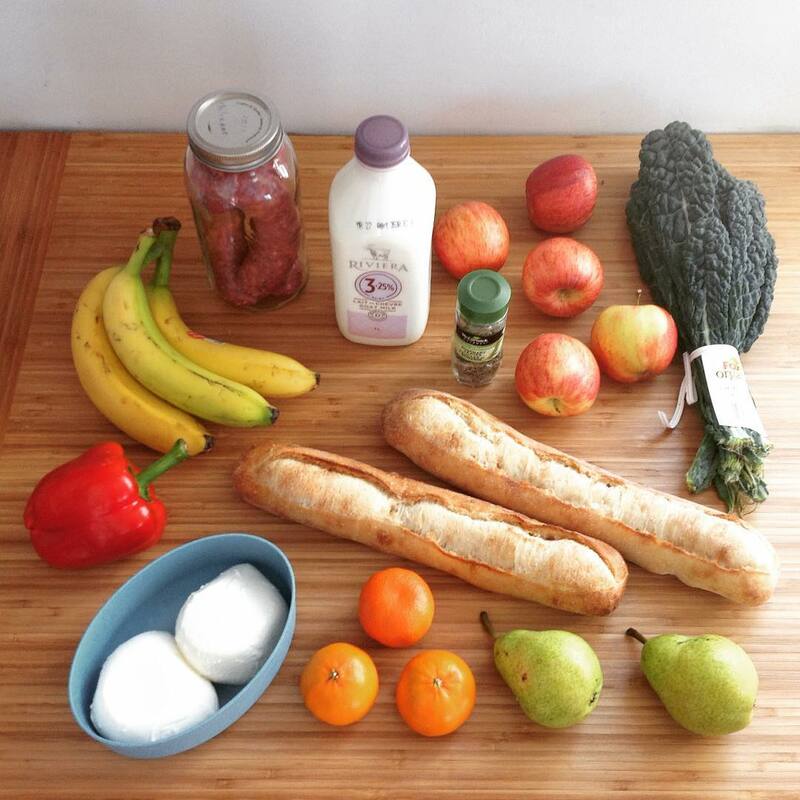 I bought package-free organic produce at Avril Supermarché Santé. I shopped the meat, cheese, bread and spice counters at Marché Adonis where they gladly used my containers. If you’d like to learn how to shop package-free, check out my detailed zero waste grocery shopping post. Happy shopping!